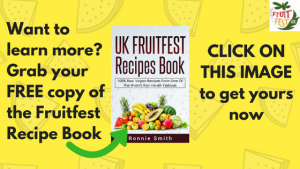 At last year’s UK Fruitfest the organiser of the event, Ronnie Smith, gave a talk on the myths that can sometimes still be found in the raw vegan community. One myth that comes up, again and again, is the concept of Breatharianism. Quite simply, this is the idea that a person can live without food. They claim to be able to get their sustenance entirely from the air. As ridiculous as this idea may sound, various leaders in the raw food community over the years have flirted with this concept. 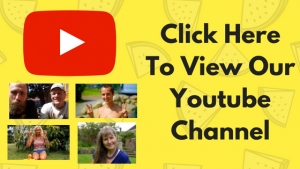 They believe that a raw food diet will allow them to be able to live on less and if they really get “clean enough” they will be able to live entirely on air. Granted, a person can live much longer on no food than most of us realise. There is a story of an obese man from Scotland who fasted for over a year. The story has more to it than that and it was not a complete fast as he took in nutritional yeast and multivitamins (and for all we know, ate other things also). He certainly lost an incredible amount of weight in that time. There are now countless reports of people fasting on water alone for up to 40 days and more. We do not need to eat food every day to survive, or even every month! But even when you are not putting food in your mouth, the body is still eating. It is eating into it’s fat reserves and eventually, once those fat reserves run out, the body truly enters starvation and it will start consuming it’s own muscle tissue and eventually the body will perish. Breatharianism is a dangerous idea that helps no one. Not only have promoters of Breatharianism been found to be frauds the very concept is harmful as it encourages those with eating disorders to continue on a dangerous path. This video is a clip from that talk. Please feel free to comment below or share with others.